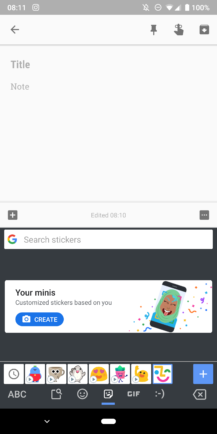 You'll see the "minis" option when you switch to the sticker section of Gboard. 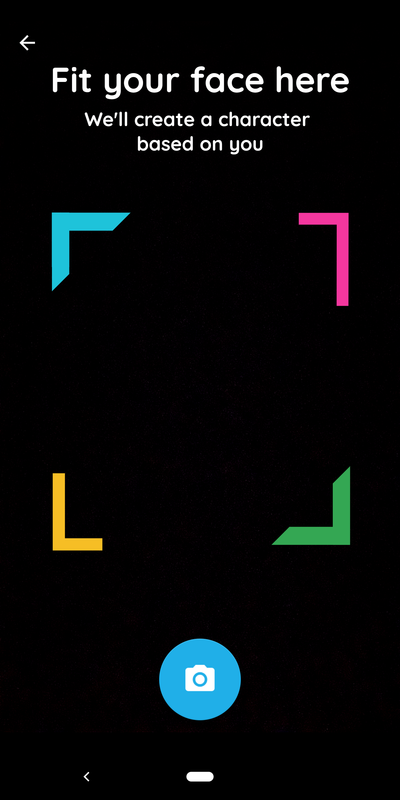 A new pack with an exclamation mark will appear at the rightmost of your favorites. 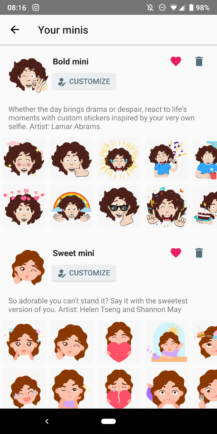 Tapping it explains that these minis are customized based on you and offers to create them. You'll have to take a selfie by fitting your face in a square, then some Machine Learning magic kicks in and makes two versions based on your image. 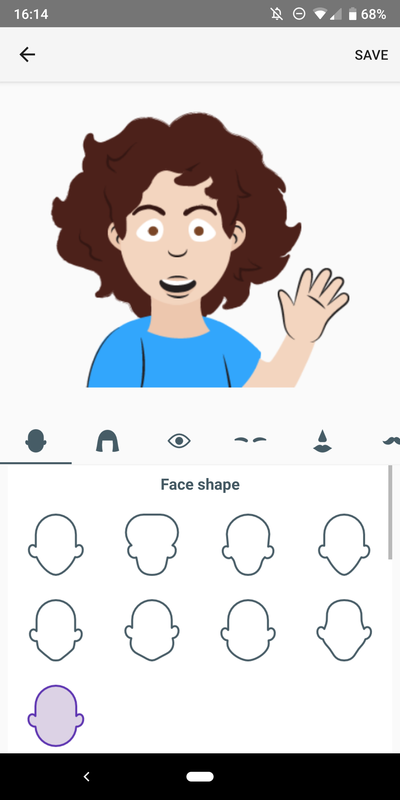 You can customize your Bold mini and Sweet mini by changing the face, hair, eyes, nose, mouth, and more. 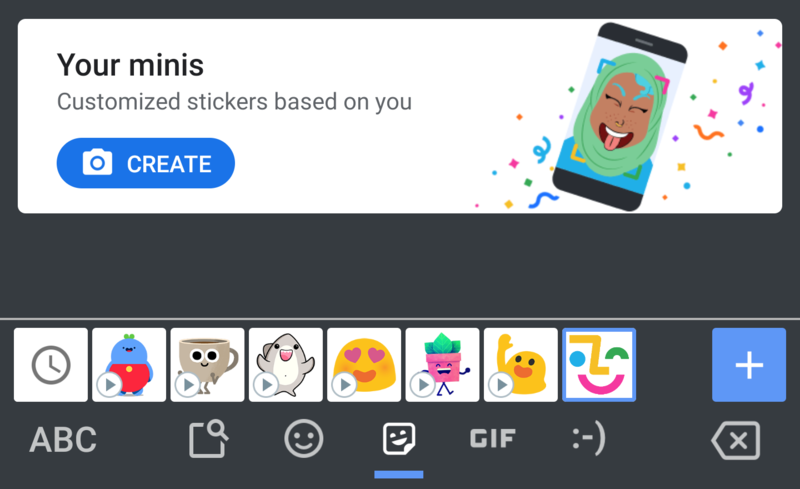 By default, the minis are added to your favorite sticker packs and show up at the top, but you can re-order them, remove them from favorites, or even delete and re-create a new pack with a different selfie. 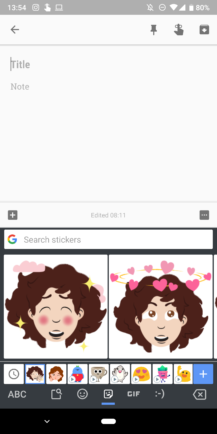 The feature is showing up on version 7.5.6 of Gboard, which is still a beta release. You can grab it from the Play Store after you join the beta program, or by downloading it directly from APK Mirror. It has been a long time since we first caught wind of these customizable sticker packs. First they worked, then they disappeared for a bit, but finally they returned — and we started to take for granted that they were simply a part of the Gboard landscape. 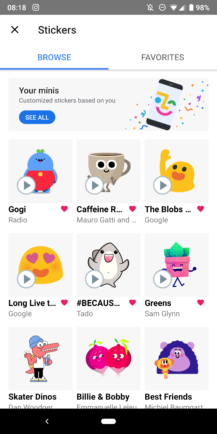 Still, Google has decided to formally announce the feature today, confirming availability across all Gboard languages and nations. 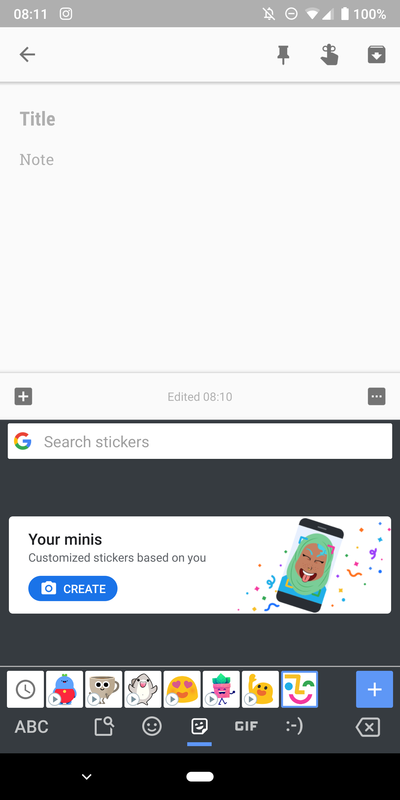 And if you happen to also dip a toe in the iOS pond, you'll find the custom sticker minis hitting Apple's platform, as well. In addition to the two styles already revealed, we also get a third new one: emoji style. If you haven't played around with these just yet, consider this your official wake-up call.